Researchers in China have developed a filter that removes salt from water up to three times as fast as conventional filters. The membrane has a unique nanostructure of tubular strands, inspired by the mathematical-biology work of codebreaker Alan Turing. The filter is the most finely constructed example of the mathematician’s ‘Turing structures’ yet, and their first practical application, say researchers. “These 3D structures are quite extraordinary,” says Patrick Müller, a systems biologist at the Friedrich Miescher Laboratory in Tübingen, Germany. The filter’s tubular strands, just tens of nanometers in diameter, would be impossible to produce by other methods, such as 3D printing, he says. The work is published on 3 May in Science. 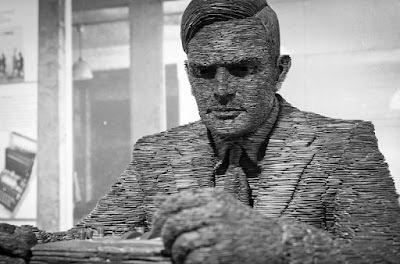 British mathematician Alan Turing is best known for his code-breaking exploits for the UK government during the Second World War, and as the father of computer science and artificial intelligence. But he also produced a seminal work in the then-nascent field of mathematical biology in 1952, just two years before his death. Membrane's structure predicted in mathematician's lone biology paper.